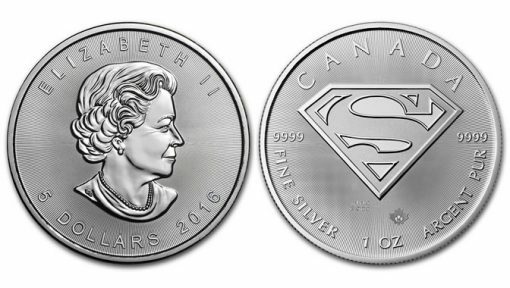 Today, June 14, the Royal Canadian Mint announced the release of new bullion coin commemorating Superman, the fictional superhero with super-strength and supper-speed. Officially licensed, struck in 1-ounce of 99.99% pure silver, and limited to 1 million pieces, the bullion coin features a frosted reverse of Superman’s signature S-Shield, which stands out from a background of precisely engraved radial lines. Enhancing its security, the coin’s reverse also features a micro-engraved maple leaf mark containing the number ’16’. Reverse inscriptions include CANADA, 9999, FINE SILVER, 1 OZ, ARGENT PUR, and TM MC & © DC. Obverses offer Susan Blunt’s portrait of the Queen with surrounding inscriptions of ELIZABETH II, 5 DOLLARS, and the year 2016. 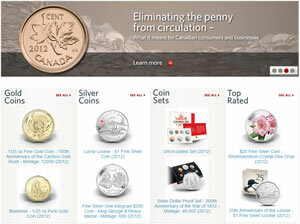 Like other world mints, the Royal Canadian Mint does not sell bullion coins directly to the public. Instead, buyers are encouraged to order from reputable bullion dealers. Today, consumers are paying from about $4.50 to $6 above spot for one with discounts offered at larger quantities. 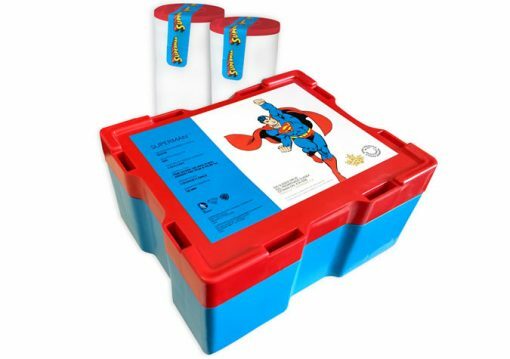 Quantities of 500 coins are boxed in red and blue packaging with a cover label featuring a full-color illustration of SUPERMAN™ and each 25-coin tube features a custom tamper-proof seal. Nice “Superman”™ bullion coin. I got an email from a dealer I buy from who is an authorized distributor listed on the RCM website last week about these. I have always liked the radial lines they added to some coins as an added security feature because when you turn the coin under a light source it really makes the design “pop” in appearance. Superman and milk spots does t sound appetizing to me. Until the RCM fixes there quality issues I won’t be buying. Milk spots = premium killer. Your lucky to get spot price for milky maples. 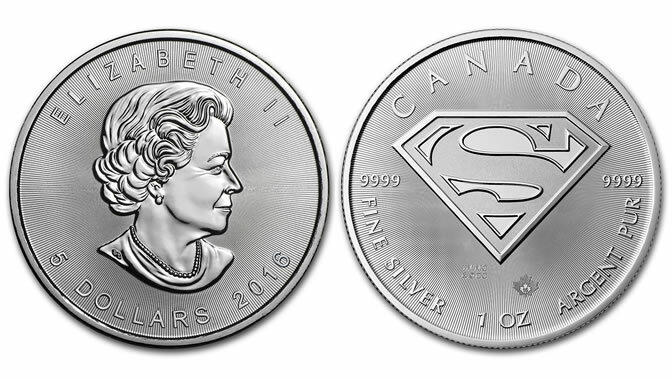 It would be nice if the RCM would have put the inscription “Superman”™ on this bullion silver coin. On the RCM’s 11-coin “Star Trek” ™ 2016 coin series they didn’t put the inscription “Star Trek”™ on any of the coins! Strange for sure. These RCM bullion coins are available from MCM in Sarasota, Florida for about $23 with free domestic shipping & no minimum order. I have bought “collector” version coins directly from RCM since 2012. But they, like the US Mint, do not sell their bullion version coins directly to the public. 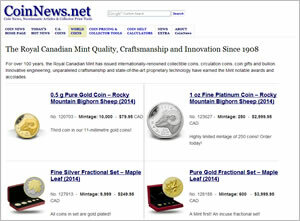 They have a list on the RCM website with their official bullion coin dealers in USA & other countries. I have never received a RCM silver bullion coin with milk spots.